I received two beauty boxes in the mail the other day and I thought I would share them with you. It's actually the last time I'll be getting these boxes -- at least for now. I need a break from these subscription services at the moment. The two I received are the Luxe Box and the Topbox. Luxe Box is now a seasonal box (and the price is $25 plus tax every 3 months), while Topbox is monthly (and recently upped their price to $12/month). 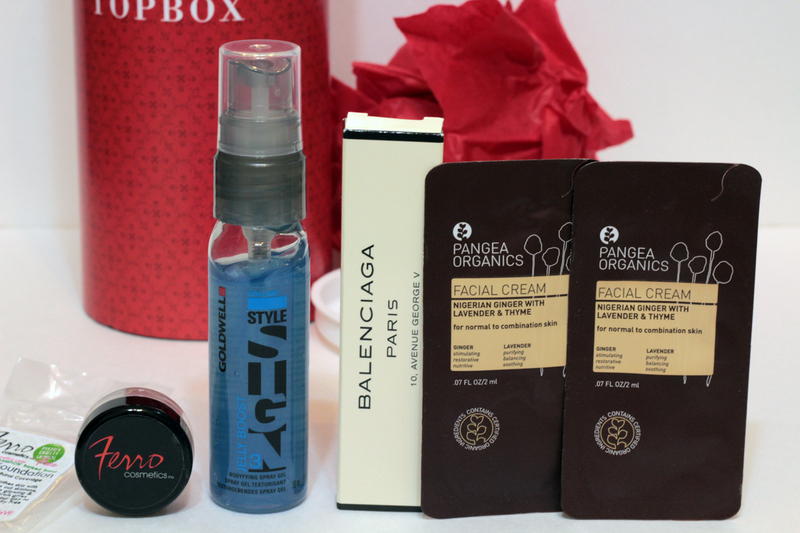 I was quite pleased with my Winter Luxe Box, so I will start with that one. 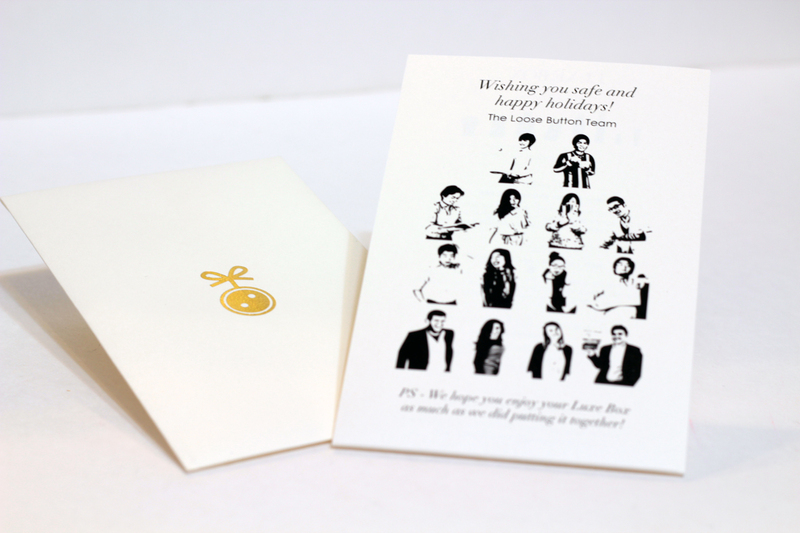 I love the card that came with the box -- super cute! The drawstring pouch the products were wrapped in was a nice touch, too. Essie Nail Polish in She's Pampered. It's from the Winter collection and it's a pinkish red shade. A mini Eyeko Skinny brush mascara. I received an Eyeko product in last season's box and am loving it, so I'm excited to try this mascara. A Loose Button kabuki. 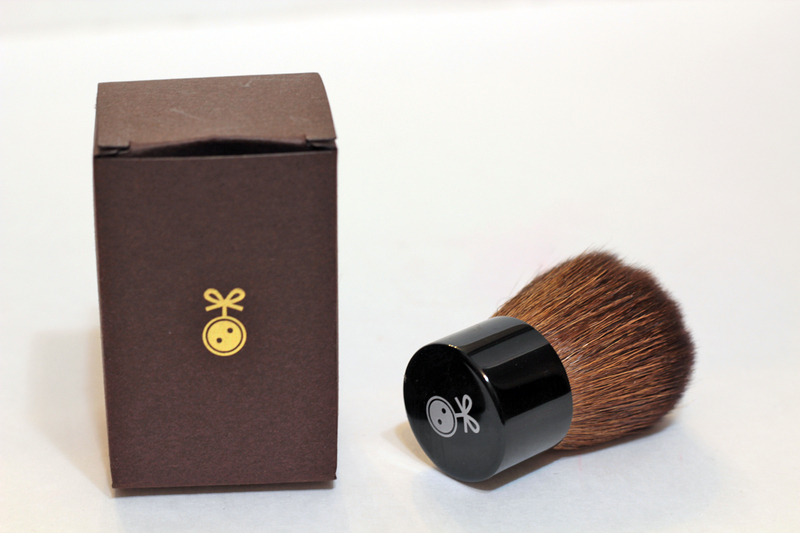 I love kabuki brushes! This one is quite soft and the Loose Button logo on the handle is adorable. Schwarzkopf Dust It is an interesting hair product. I haven't tried it yet, but it is supposed to give your hair volume and natural texture with a matte finish. It's a full-size bottle and it's one I actually picked from the "First in Line" option. B.Kamins Daily Lotion is really nice on the skin. It's moisturizing and lightweight. Dermalogica Precleanse is a cleansing oil. It has a lot of natural ingredients in it and I'm excited to try it. A mini fragrance bottle of the Donna Karen Woman. I love receiving mini bottles of fragrances. I've actually started collecting them because I think they're so cute. It has an interesting scent -- kind of fruity / citrus-y. A hair serum from Kerastase called Christalliste Lumiere Liquide. I really enjoy using Kerastase products, I imagine this one will be no exception. I really enjoyed this box! A lot of products I would likely use and definitely worth the price tag. 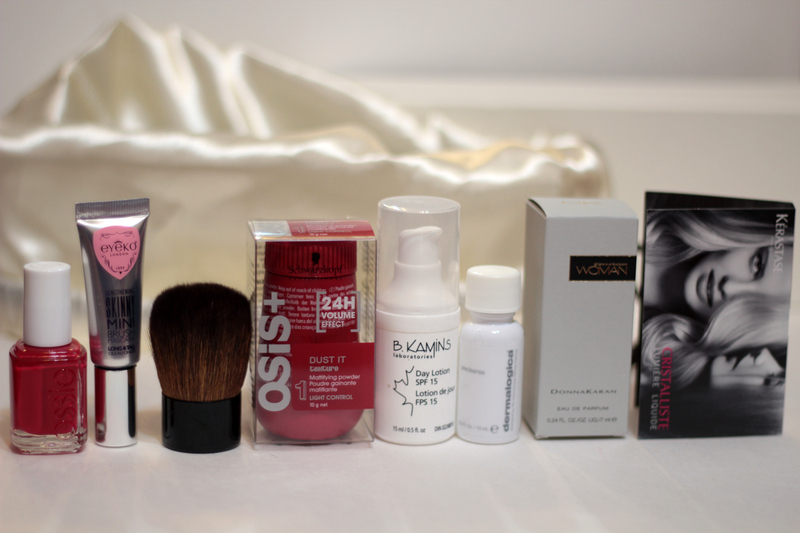 On to my December Topbox. Nothing to get excited about, really. I did enjoy the festive packaging, but the products were nothing to write home about -- especially considering the price increase. I was expecting something a little different, a little more. Ferro Cosmetics Mineral Foundation. I'm interested to try this. I'm quite a fan of mineral makeup. It's a small jar, but I find that mineral makeup can last a long time. A hair product from Goldwell called the Jelly Boost. I don't often use this type of product on my hair, but it is a gel that is supposed to volumize and texturize. A Balenciaga fragrance, which I had already received in last last month's box (this time without the bonus of a Balenciaga pouch). Two Pangea Facial Cream packets. Made of all natural ingredients and is supposed to slightly matify the skin. I wasn't too excited about this box. Not excited at all, actually. Like I mentioned, the higher price tag leaves this box lacking. I wasn't expecting full- sizes of anything, but I was hoping the quality would be there. So, yes, at the moment, I have umsubscribed to both the Luxe Box and the Topbox. I will probably re-subscribe in the future, but for now, I think I'll spend the $37 on something else. 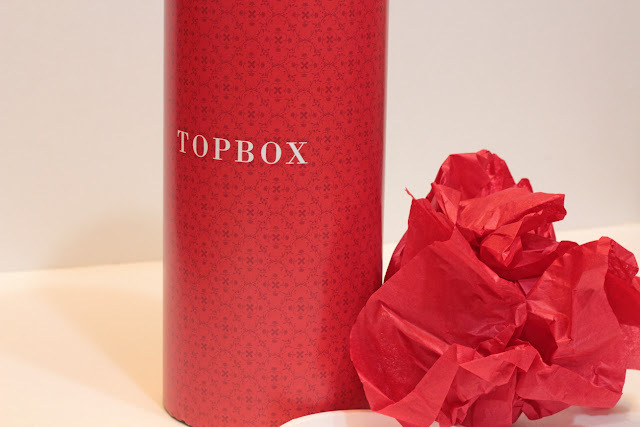 The luxbox actually has some great products but that Topbox is totally lacking for the price you paid! interested to see what you think of the Kerastase product! I got the exact same Luxe Box as you! These boxes are okay, but even the Luxe Box doesn't wow me when you consider the $25 price tag. I'm also taking a break from beauty boxes, I have so many samples to use up first! I got the same LuxeBox. I do like the box but it didn't have that wow product for me. I was underwhelmed with mine. It was my first one after being on the waiting list since July. I'm not super happy. I have a blog post finished and scheduled for it on December 26th. I got the same Topbox as you and I was a little bummed. It was so lackluster that I've shoved it in a corner for now. The Luxe Box was one that I enjoyed too! I don't know if I can stop my beauty box subs yet...I really should choose just one or two and stick to those! Beauty boxes combined with SDM 20x the points days are more than enough! !